People frequently complain how contrived many reality TV series are, and yet fans keep tuning in for programming like season 21 of ABC’s The Bachelor TV show. Everyone knows that the Nielsen ratings typically play a big role in whether the TV show The Bachelor is cancelled or renewed for a 22nd season. Because most people aren’t part of that system, many viewers get upset that their viewing and opinions aren’t considered. We’d like to offer you a chance to rate the episodes here. 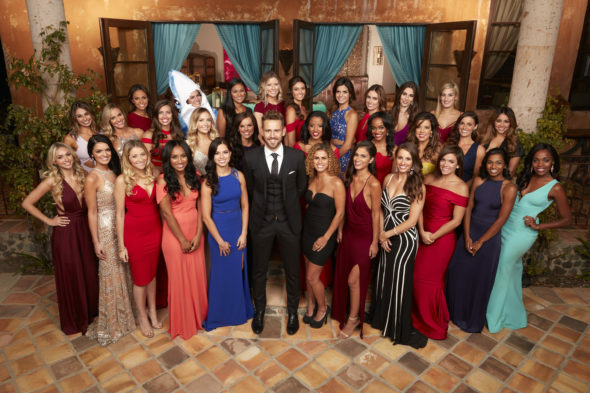 A dating reality TV show hosted by Chris Harrison, each season of The Bachelor centers on a single man who tries to find the love of his life by dating a large group of women who are all living together under one roof. As the ABC series progresses, he narrows down the pack through a series of eliminations. The Bachelor season 21, features 35-year-old technology salesman, Nick Viall looking for love. A franchise frequent flyer at this point, Nick has already had his heart broken by Andi Dorfman and Kaitlyn Bristowe on The Bachelorette. Likewise, he failed to find his soul mate on Bachelor in Paradise. What do you think? Which season 21 episodes of The Bachelor do you rate as wonderful, terrible, or somewhere between? Don’t forget to vote, then share your thoughts about this ABC TV series, below. The Bachelor: Could ABC Possibly Cancel Their Top Reality Show?